Jhunka is a delicacy of Maharashtra and North Karnataka. Maharashtrians prepare it as side dish for Chapathies wheres in North Karnataka people prepare it as a side dish for Jwari Rotis. I learnt it from one of my neighbours way back in 1981, when we were on transfer to Nipani, a small town on the Karnataka-Maharashtra border. 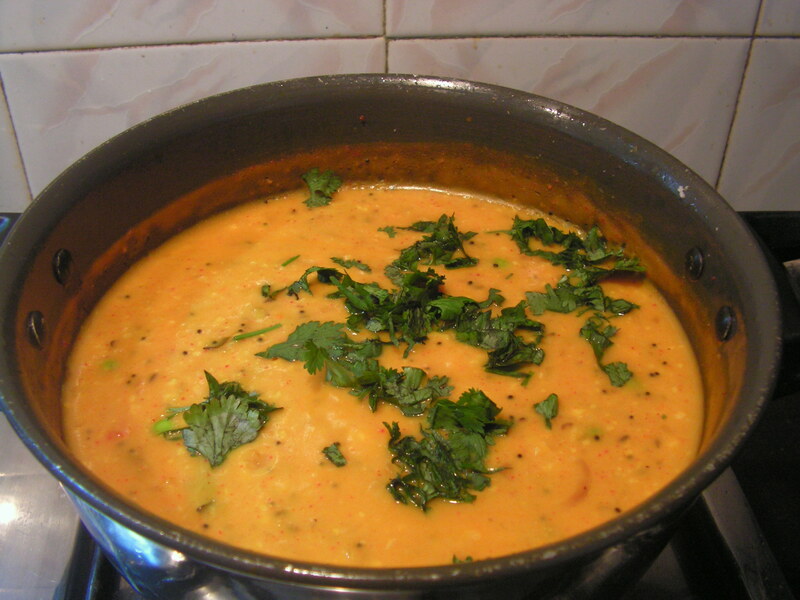 People prepare this dish in many ways but mostly with Besan/Chickpeas Atta as the main ingredient. 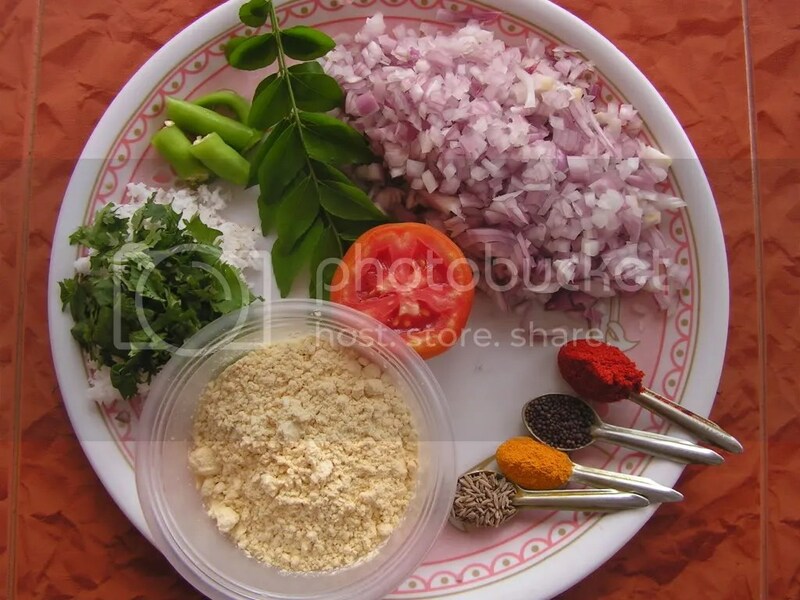 They prepare it using onions, asafoetida and also with garlic. I am putting the version of the jhunka with onions. Here goes ! 1. Cut onions very fine and keep it aside. Wash and cut green chilli, tomato, coriander leaves, also grate dcoconut . 2. Place a broad based bowl on the gas on medium flame with 5 teaspoons of cooking oil in it. On heating add mustard seeds. When it sputters add cumin seeds, turmeric powder, Green chilli, curry leaves and stir it. 3. 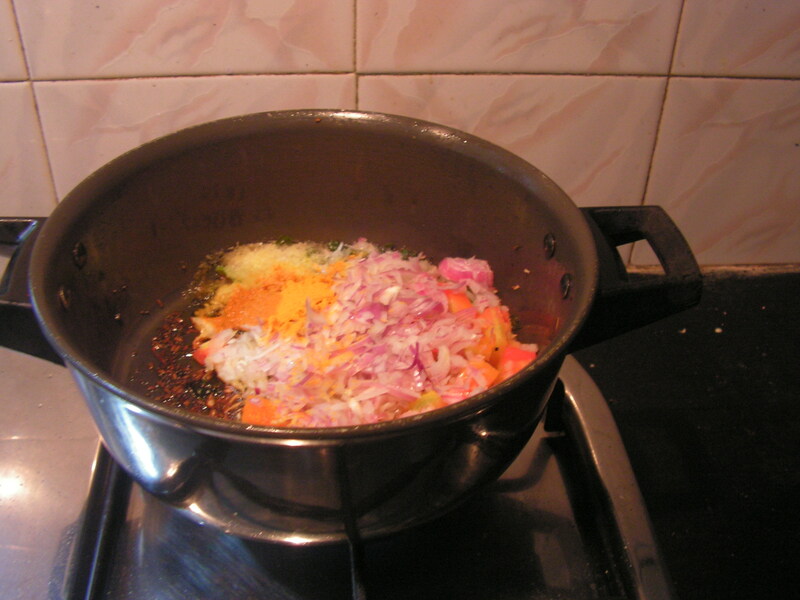 Add chopped onions, tomatoes and required quantity of salt and saute it for a while till transparent. 4. Add 500 ml/2 cups water (approx) to the besan to get a thin liquid and set it aside. 5. When onions are fried well, add chilli powder and stir it. 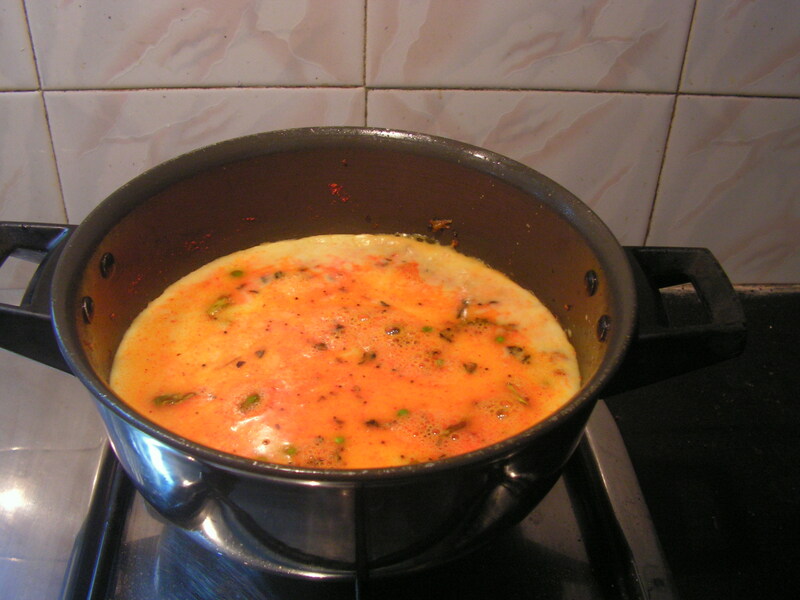 Add besan liquid from step 4 slowly to the seasoning while stirring continuously to avoid formation of lumps. 5. 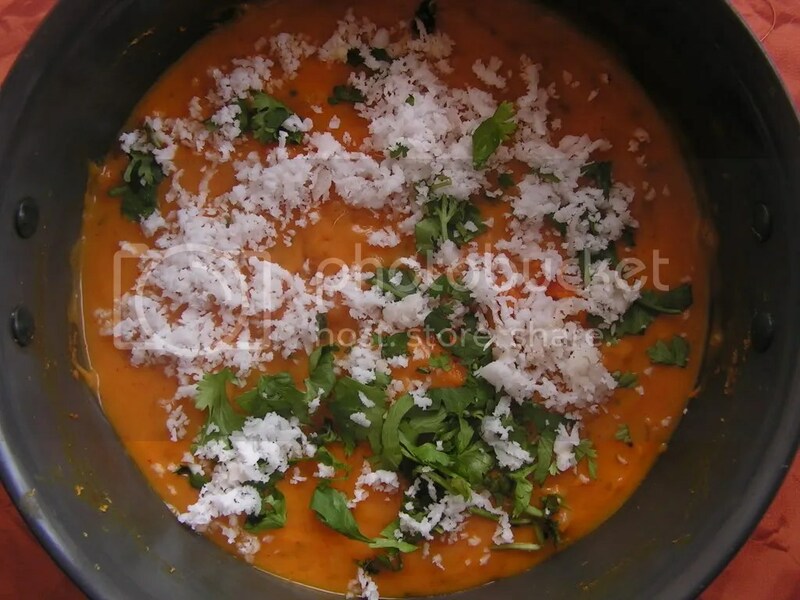 Keep stirring for a while, bring it to boil and lastly add chopped coriander leaves and grated coconut and let it cook for a while on a medium flame only. Serve hot with chapaties, Jwari rottis etc. Salt can be added at the end if needed. 1. People prepare it to a very thick consistency also, so it just really depends upon the taste of a certain person. I always prepare it like a semi liquid. As it cooks it keeps solidifying, so please add sufficient quantity of water while cooking. I have written the exact quantity of water required to cook the given quantity of besan. 2. One can also add garlic/chilli as per his/her taste buds. 3. 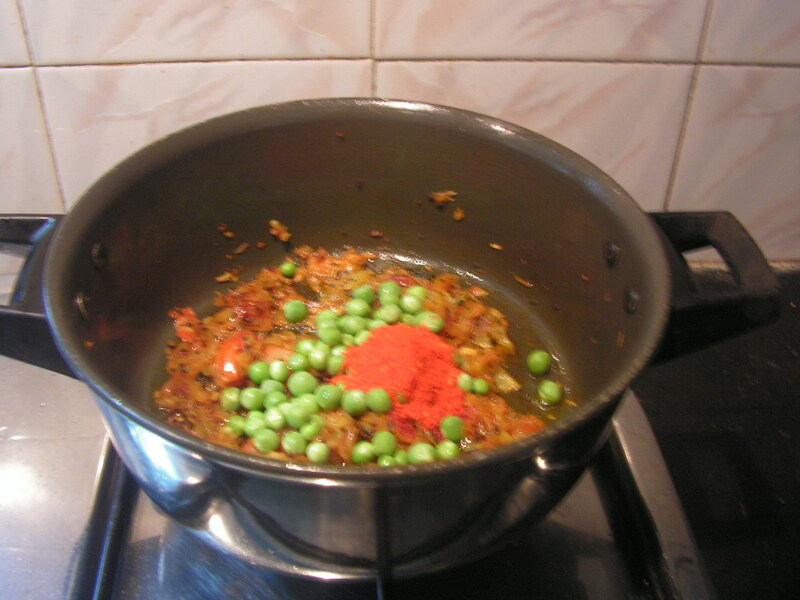 Adding fresh Green Peas and Capsicum is also one’s choice. What a nice space you have here! I’m not sure if I’ve been here before. Will return soon for more. Thanx for your comments. Please pass on the link to your community and friends. Love this space. You present it very nice with beautiful (very clear) pictures. I started looking into this from last month and have tried many dishes (Alu methi, sapatha, Palak dal, Junka, carrot cuury…). Have come out very nice. Thanks for sharing. Keep up the good work. Hey that was a wonderful recipe. Try it with boiled, mashed potatoes along with onion and tomato. I tried it out of curiosity and yuppeeeee it turned out to be great!!! I think i should try it out. Gr8 idea! Tried it , loved it… simply delicious. Thanks for this recipe! Thanx a lot for ur comments and also the wonderful feed-back.